In 2018 Curve Cycling celebrated 5 years in business and on December the 23rd, Steve Varga (Curve’s co-founder) had turned 40. 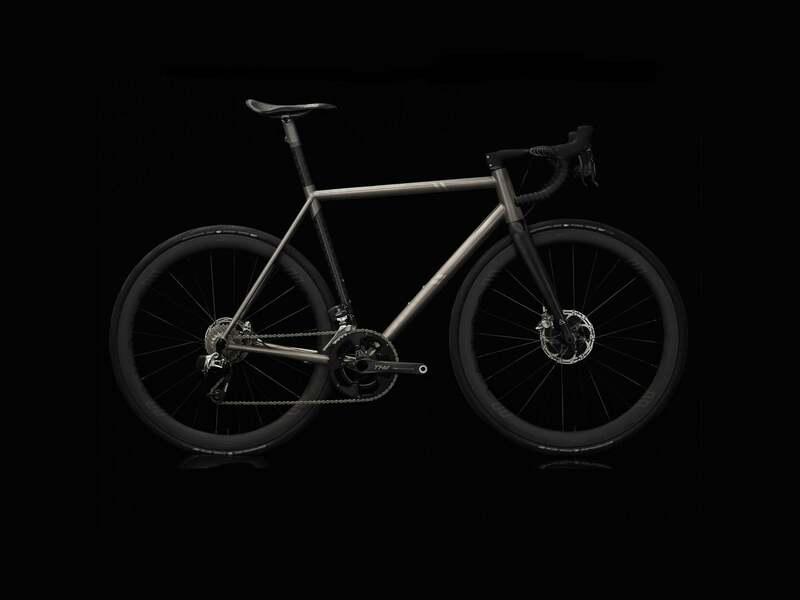 In celebration of these milestone Steve decided to design Curve and their devoted followers, the ultimate realisation of a Belgie. He wanted to explore new innovation, showcase our Melbourne cycling culture and make himself the best damn birthday present ever. Only 23 lucky individuals will own a Belgie Air. Why 23, why Air? Well Steve Varga claims it's because his birthday is on the 23rd...and he swears it has nothing to do with the famous ex-basketballer and his obsession with Nike. We've always loved what Bastion do. Three former Toyota engineers went out to put their tech-head genius into creating a unique style of road bike. Bastion have long been using Curve forks and wheels on their builds, so it was about time that we married their tech, with our tough. Each frameset is custom made to order. A recent bike or new bike fit is required. Build time and assembly is about 70-100 days after correct sizing is established. Topper The 3d printed titanium topper is Ti6Al4V Grade 5 Titanium manufactured using Laser Bed Powder Fusion. This is a form of additive manufacturing, otherwise known as 3d printing. Bonding Aerospace Grade - 2 Part Epoxy developed for bonding metals to carbon fibre composites. Developed for high-temp. environments and chemical resistance. Where is the Belgie AIR made? The main titanium structure is handmade to order by Curve in the P.R.C (Yep, that's China), with Bastion completing the final assembly, bonding and QC in Melbourne, Australia. The Belgie geo. has been raced at elite level, winning crits and racing the National Road Champs also, but the Belgie has also ridden across countries, Jesse Carlsson won the 6800km TransAmerica Bike Race on it, and Ryan Flinn and Sarah Hammond have crossed Australia via the Indian Pacific Wheel Race.